Big boy, that one. We pay twenty bucks a pound for the salmon this guy pulls out of the water with his feet…. Of course we have the luxury of a chef grill to prepare our salmon. This one just rips it to shreds with the opener built onto the front of his face and eats it raw…. 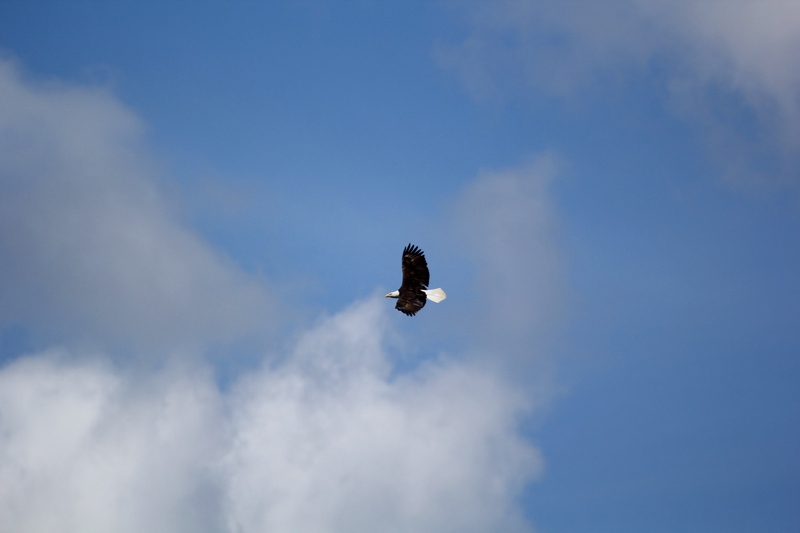 This entry was posted in Photo a day and tagged Bald Eagle, La Conner, salmon. Bookmark the permalink. Where’s the pics of the tulips? You don’t like the eagle?